Every time I look at super realistic portrait drawings in charcoal or graphite, I wonder how to draw single hairs against a black background (on white paper though) like here or here. Do I have to erase the fine line out of the black background with a fine eraser or do I have to leave out the line while darkening the background? what is the best way to archive results similar to those above? 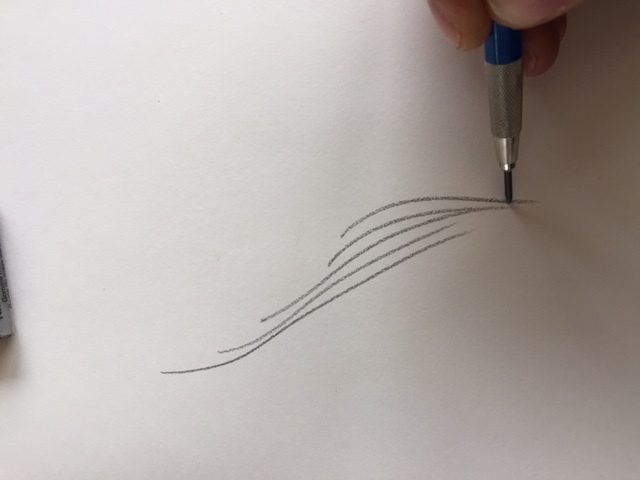 The flocculent beauty of the work you show is not that the artists drew a single hair (that would never achieve the effect) the beauty came from the artists layering one drawn hair "over" another and repeating it until the desired depth was achieved. Here's a simple example of the layering process. This is based on a presentation by Darrel Tank. If you wan to see the complete process in action then check out his video series. For this example I will use an HB mechanical pencil, a kneaded eraser and brush. Paper is 400 series strachmore (60lb). I only have white paper and black pencils. Don't focus on the materials. Focus on the process. With a couple of simple strokes the first strands of the hair are stated. 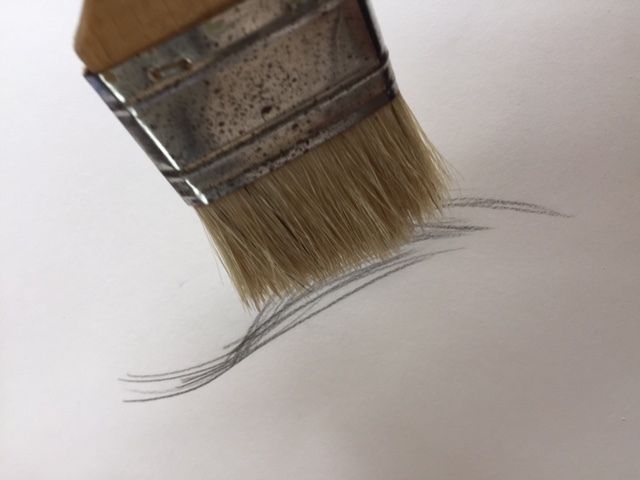 The pencil strokes are softened using a brush by gently brushing across the surface. The harder the pencil the more difficult it will be to soften the pencil marks. 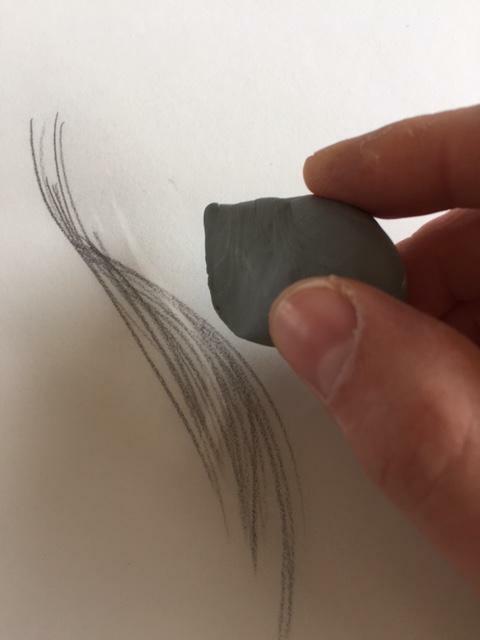 Next I take a kneaded eraser and form it into a sharp thin edge. 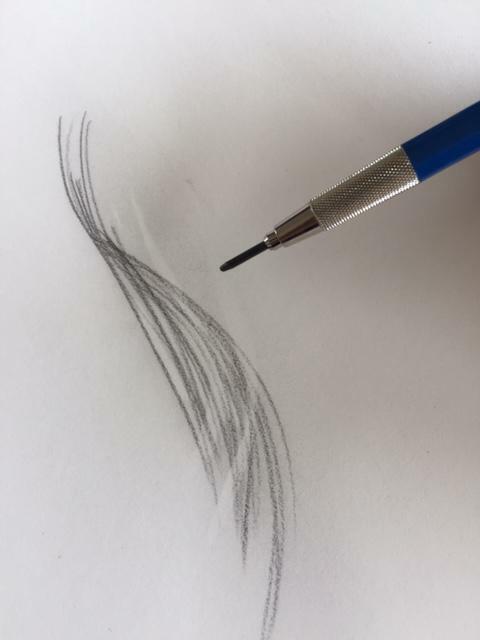 Drawing the eraser cross the surface removes some of the pencil markings and leaves behind a negative space creating the illusion of overlapping strands of hair. Next I go back and restate some of the lines with the pencil. Again I use the brush to soften the marks. The process is repeated until the desired layering effect is achieved. Repeat the steps as many times as needed until the desired effect is achieved. Don't be as heavy handed as i was in laying down the layers. The harder you press the more difficult it will be to remove the pencil marks. A light touch is needed. The above was just one example of how to create the layered effect you are looking to achieve. Masking and opaque paints can also be used but they too rely of the layering for the desired effect. It is important to understand the concept of layers. It also depends on the medium. Sometimes a "charcoal drawing" implements other media. Sometimes what appears to be black on white is actually white on black. There is also a process using a "scratch board" where the black surface is scratched away to reveal the white layer underneath. 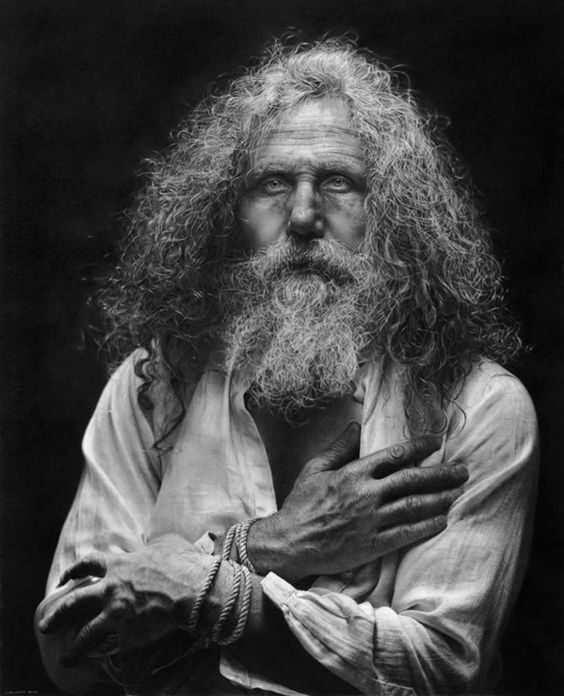 On a plain charcoal drawing though, one might use white chalk as a last step to create highlights. Erasing can be used to some extent, but I find it hard to get back to bright white that way. I had a professor who suggested using white-out or white paint. Not the answer you're looking for? Browse other questions tagged drawing charcoal portrait-drawing graphite or ask your own question. 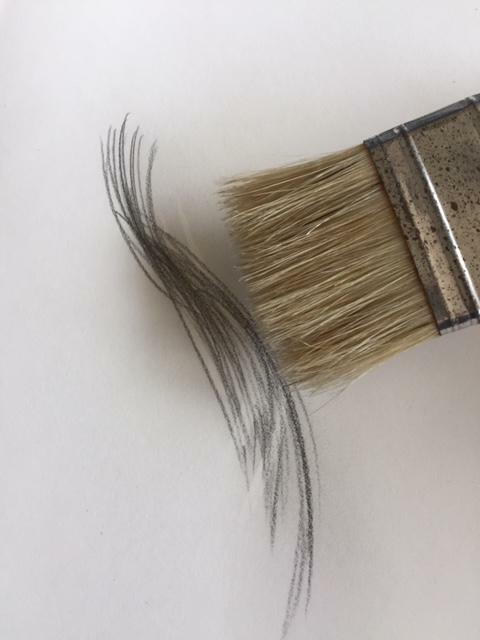 How do hard, soft, and medium charcoal pencils compare against their counterparts in graphite? 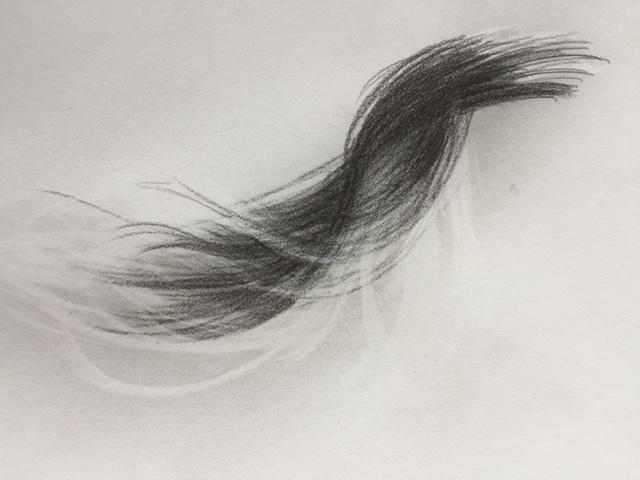 How can I draw realistic hair with pencil? 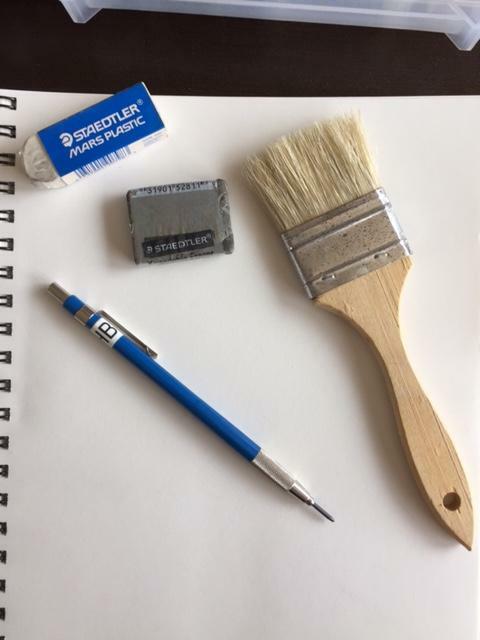 When to use a fixative in a drawing with charcoal and Pencil? I’m a complete beginner. What’s the shortest way to learn drawing manga?